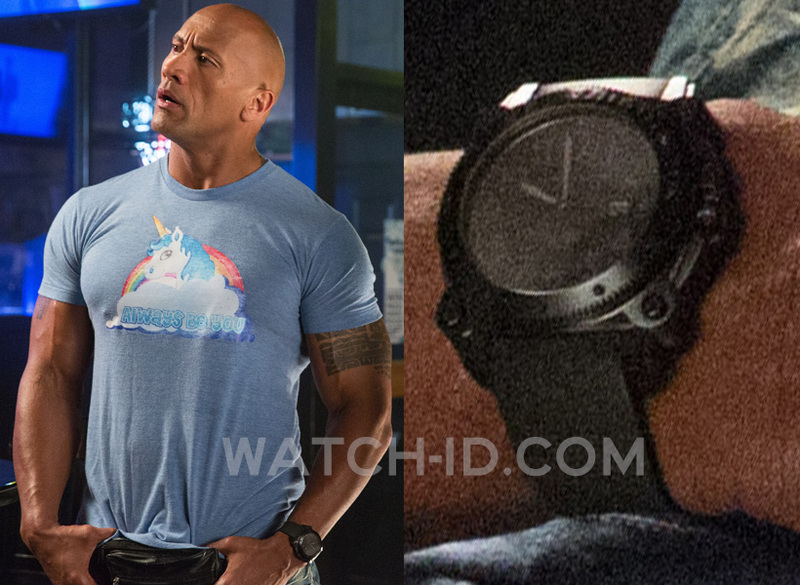 Dwayne Johnson wears a Hamilton Khaki Navy BeLOWZERO watch in Central Intelligence. Dwayne Johnson wears the all-black Hamilton Khaki Navy BeLOWZERO watch in Central Intelligence (2015). This is the same watch as worn by Mark Watney in the movie The Martian that same year. 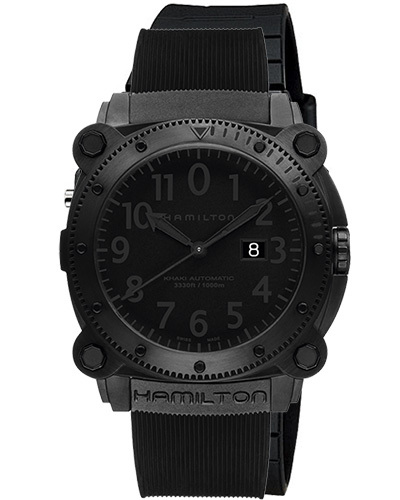 The Hamilton Khaki Navy BeLOWZERO Auto 2826, modelnr H78585333, is water resistant to a depth of 1,000 meters and is equipped with a helium escape valve. With a thickness of 5.6 mm, the convex crystal - reminiscent of a smooth bubble - is also well prepared for any underwater exploration. The design of the watch reflects its performance capability, with for example a fish symbol and a diving mask pictured on both the case back as well as on the rubber-feel presentation box.